Holidays are a time to relax and let go of worry. 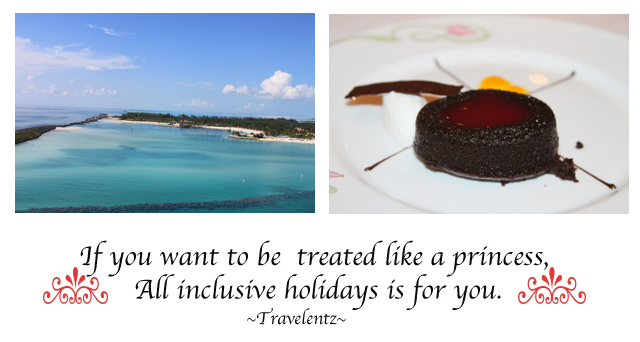 The best way to do that is to go all-inclusive. With all-inclusive holidays , you no longer need to worry about the financial side of your trip once it’s booked and paid for. All you need to do is head to that sunnier climate and enjoy your time out. Not at all. You have to remember that once it’s paid for, it’s likely you won’t need to pay for anything else, other than maybe some souvenirs or gifts. All-inclusive deals with Co-operative Travel start at around £269 per person, for seven nights, and that’s at a four star quality resort. This will include all your flights, food and drink, so you won’t have to worry about additional costs. So this price includes all meals? Yes, you’ll get your breakfast, lunch and dinner, all included in the price. You’ll also get snacks included throughout the day, which you’ll be able to get from the bar or restaurant. All soft drinks and selected alcoholic drinks are available throughout the day as part of your all-inclusive package, so you won’t need to worry about the cost of letting loose. If the resort offers activities, then it’s likely they’ll be included in the all-inclusive price, or at least be discounted. Many resorts offer numerous activities, such as tennis facilities, pool tables and even water sports. Naturally, it’ll also be free to wallow in the water under the blissful heat of the sun. Yes, many all-inclusive resorts include on site facilities such as a crèche or kids clubs (on top of other sports activities), so you can take a break for a few hours and relax on your own. Just make sure you check each individual package for the added extras and find a deal that best suits your family. I’m looking to go on holiday with a few friends, how about me? There are plenty of options to cater for groups of friends looking for a good time. Lots resorts cater for groups looking to party with other young, like-minded people. Just make sure you read the resort descriptions properly before you choose, to avoid disappointment. Are my destinations limited if I go all-inclusive? No, not at all. All-inclusive resorts are popping up all over the world, including places like Turkey, Egypt and the Caribbean. There are also a great many quality resorts of four or even five star ratings, which offer you affordable but luxury all-inclusive packages. Visit the Co-operative travel website to see all the destinations on offer.